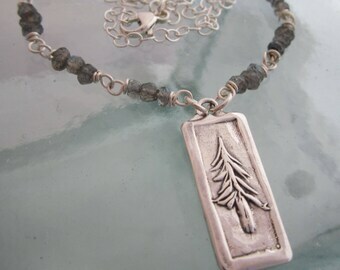 I created the charms for this necklace in .999 fine silver. 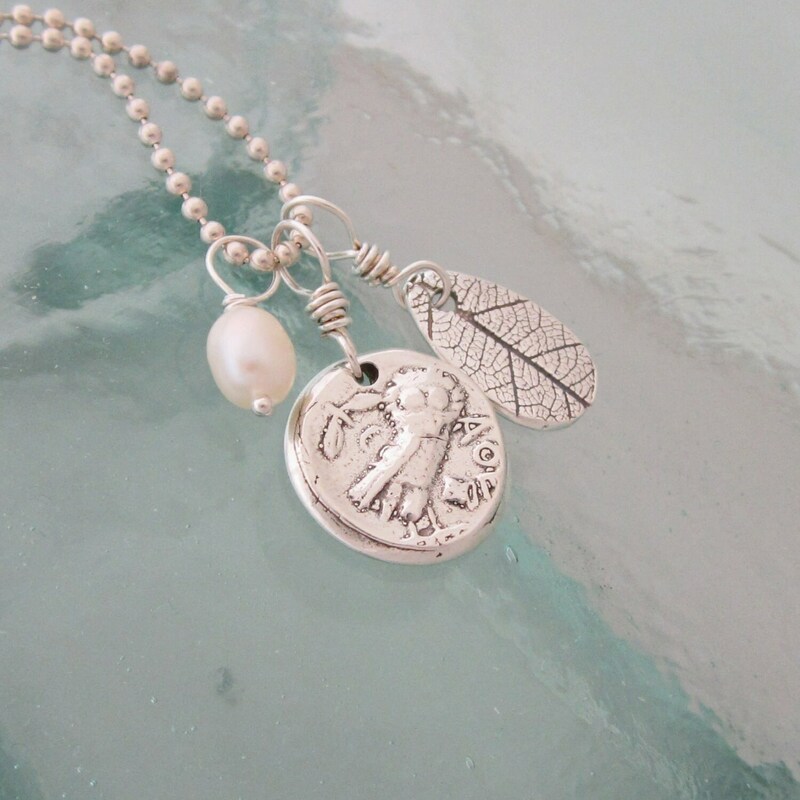 The owl charm was created using the design of an old Greek coin and measures approx. 1/2" in diameter, and hangs approx. 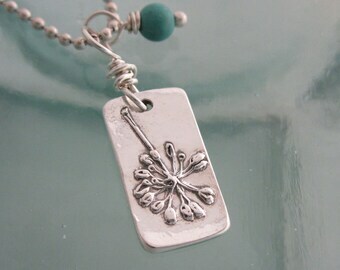 7/8" from the top of the sterling wire wrapped bale to the bottom of the charm. The leaf is teardrop in shape and measures approx. 3/8" w x just over 1/2" long, and hangs approx. 7/8" from the top of the bale to the bottom of the charm. Both pieces have a patina finish to enhance the details of the designs and are polished to a warm shine. The pieces hang freely next to each other on an 18" sterling ball chain. Next to the charms hangs a sterling wrapped freshwater pearl. If you would prefer a different length or style chain, or a different bead dangle, please contact me to discuss your options.